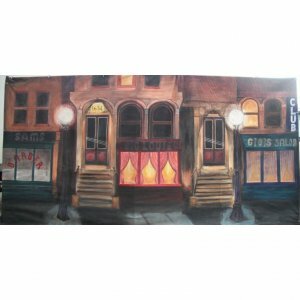 A dark street setting is perfect for your Al Capones, Bugsy Malones, Bonnies & Clydes. 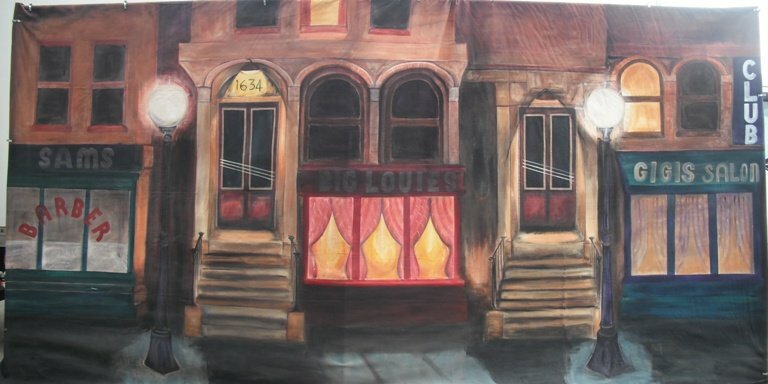 This Prohibition backcloth works well on an entrance before your guests walk through to your themed Cabana Club or Flappers Bar. Also makes a great set piece with our 3D Tommy Gun and Street Lamps. Ask when ordering about different methods of support for our backdrops.